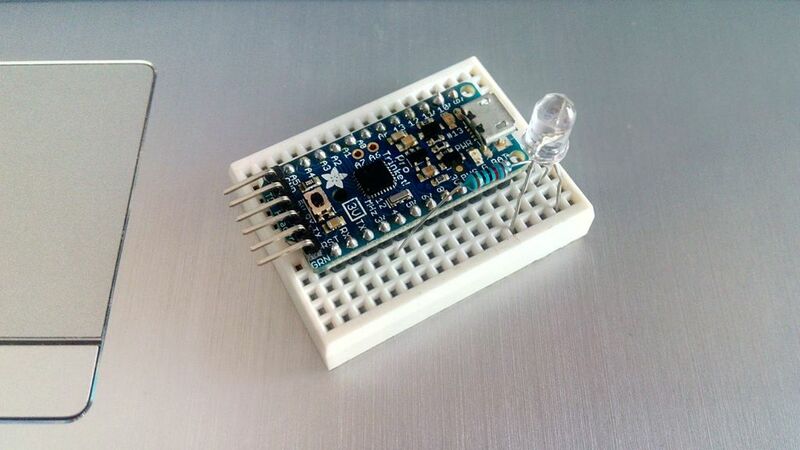 Adafruit Pro Trinket Board, small but powerful! 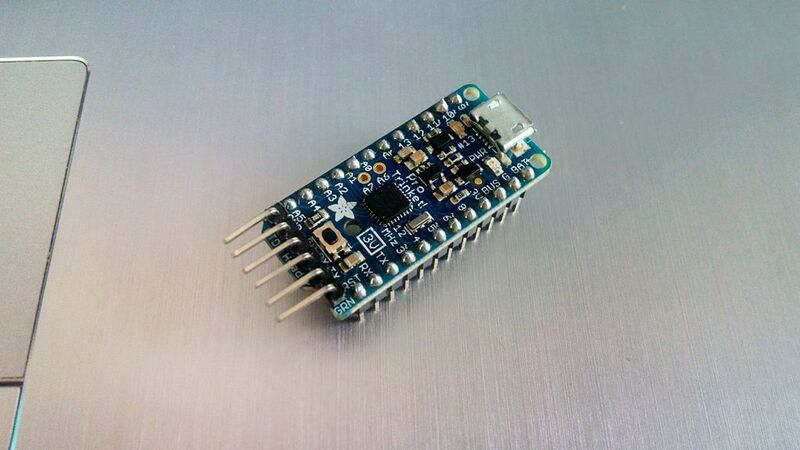 This tiny board is using the ATmega328p microcontroller, it's like an Arduino Pro Mini but with more pins and micro build-in USB port. 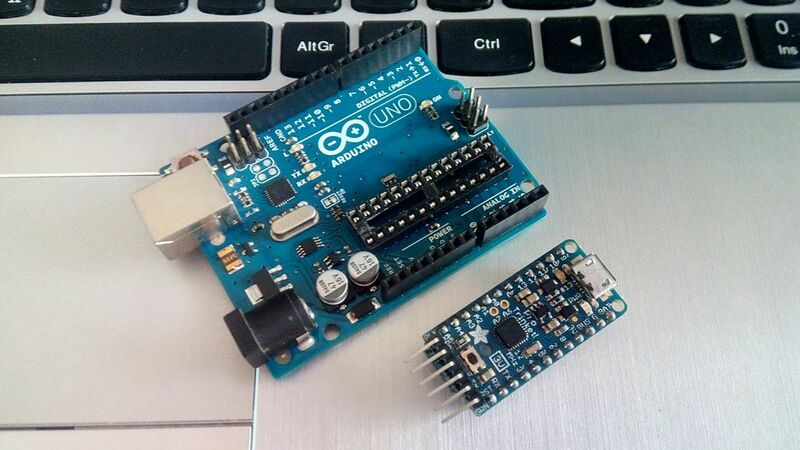 The ATmega328p chip can also be found on Arduino uno board! It can powered up by usb cable or external battery. 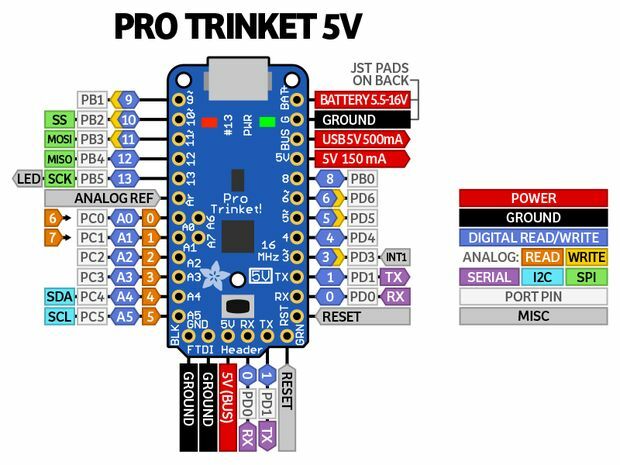 You can find two versions of ProTrinket board: 3V and 5V. The only diference between them is the operating 'logic' voltage. You should see the green power LED lit and the red bootloading LED pulse indicating that the Trinket is ready to start bootloading. If you've programmed the Pro Trinket since getting it, you can always get it back to the bootloader state by pressing the small onboard reset button. Connect the Pro Trinket board with your computer, select yours Adafruit Pro Trinket version board from boards menu and leave as it port selection. Now click the "Run on Arduino" button. That's it, you've programmed your Pro Trinket board with blink sketch! You will see your LED blinking every 3 seconds.